In what circumstances can a foreign criminal resist deportation on the basis of his right to family life under Article 8 of the Convention? Until 2012 this question was governed entirely by judge-made case law. 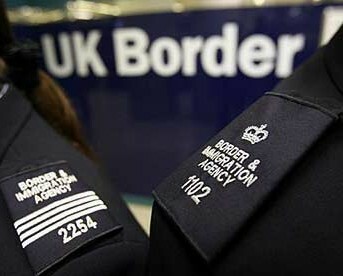 Then rules 398, 399 and 399A were introduced into the Immigration Rules HC 395. I have posted previously on the interpretation of these rules here and here. a decision taken in accordance with the Rules will, other than in exceptional cases, [is] compatible with Article 8. In the context of deportation of foreign criminals, the new rules set out thresholds of criminality (by reference to length of terms of imprisonment) so that the Article 8 private life claims brought by foreign criminals can only succeed if they not only have certain periods of residence but can also show their criminality has fallen below these thresholds – unless there are “exceptional circumstances”. This appeal raises important questions as to the proper interpretation of the new rules, and in particular, how these “exceptional circumstances” may be assessed. The appellant MF, a Nigerian citizen, had entered the UK illegally in 1998 and claimed asylum in 2006. In March 2009 he married a British citizen who had a daughter from a separate relationship. A few months later he was convicted of handling stolen goods and possessions or using a false instrument and was sentenced to eighteen months’ imprisonment. He applied for leave to remain in the UK on the basis of his marriage but the Secretary of State rejected his application, refused his asylum claim and made a deportation order against him under Section 32(5) of the UK Borders Act 2007. MF’s appeal to the First-tier Tribunal on asylum and human rights was dismissed. The Upper Tribunal allowed his appeal because it considered that the new rules could not be construed as providing a complete code for Article 8 claims. Primary decision-makers are as much bound by section 6 of the Human Rights Act 1998 as judges are. They concluded that the new rules maintained the obligation on primary decision-makers to act “in compliance with” all the provisions of the Convention. It will now resemble that conducted under the rules to a greater or lesser extent. Clearly, if the new rules perfectly mirrored Strasbourg jurisprudence as interpreted by our higher courts, the second stage judicial exercise would largely cover the same canvas. The difficulty is that the new rules do not obviously constitute a perfect mirror. Although the UT concluded that the appellant’s deportation would not be disproportionate on account of his wife and her parents, they were unable to reach the same conclusion in relation to the best interests of the daughter. They were obliged by section 55 of the Borders, Citizenship and Immigration Act 2009 to treat the best interests of the child as a primary consideration. Weighing all the evidence in the balance, the UT decided that it would not be proportionate to deport MF. The Secretary of State submitted that the UT had erred in law in considering there to be a need, or justification, for separate consideration of Article 8, outside the context of the rules. It had long been contemplated by the Strasbourg Court that states were entitled to decide that there was generally a compelling public interest in deporting foreign criminals. Article 8 required a decision maker to weigh the factors which favoured deportation against those that did not. That was inherent in the proportionality test that Article 8 demanded. The new rules mirrored this requirement: Paragraph 398 expressly contemplated a weighing of “other factors” against the public interest in the deportation of foreign criminals. It is only exceptionally that such foreign criminals will succeed in showing that their rights under article 8(1) trump the public interest in their deportation. It has been established in UK case law that, in “precarious” cases”, it is likely to be only in the most exceptional circumstances that the removal of the non-national family member will constitute a violation of Article 8 (Sales J in R (Nagre) v Secretary of State for the Home Department) and this has been repeated and adopted by the Strasbourg Court in “near identical terms” in many cases. The Court of Appeal therefore accepted the Secretary of State’s argument that the new rules were a complete code and that the exceptional circumstances to be considered in the balancing exercise involved the application of a proportionality test as required by the Strasbourg jurisprudence. However, in this particular case, the difference between the Court of Appeal’s approach and that taken by the UT approach was of form and not of substance. The UT had conducted a meticulous assessment of the factors weighing in favour of and against deportation. It found that the factors in favour of deportation were substantial. It properly gave significant weight to the serious view taken by the Secretary of State of the appellant’s criminality and his poor immigration history. On the other hand, they attached considerable importance to the appellant’s interests. The decision was finely balanced. But the UT did not take into account irrelevant factors and did not fail to take into account any relevant factors. The UT was entitled to strike the balance in favour of the claimant and there was no basis for interfering with its decision. Fantastic article, very well explained for someone with basic knowledge! If anyone wants to read more I recommend this blog – http://www.2bedfordrow.co.uk/our_blog_page/blogs – It’s written as part of 2 Bedford Row’s website (top London criminal law barristers) and gives some pretty interesting insights into similar discussions as those you have written about here. The difference between the UT and the CofA is one of form not substance in all cases, not just this case. In light of the wording of the rules and the SSHD’s submissions in the UT it is not surprising that the UT found Art 8 needed to be considered outside the rules. Now that the CofA has made clear that Art 8 considerations take place within the rules, it would be appropriate for the SSHD to lay new rules before Parliament making the Art 8 assessment process explicit. This will help ensure all concerned (Home Office decision makers and presenting officers, foreign nationals and their families, legal representatives, and judges alike) can focus on the real issues of each particular case.